There are three official Tobago ports. One is in Crown Point, one is in Scarborough which is the capital of Tobago, and the other is in Charlotteville. Each of the Tobago ports is an international port. These are ports which could be used to process international passengers. One is an airport and the other two are sea ports; any one can be used for international entry. Crown Point Airport accommodates international flights directly to the island. 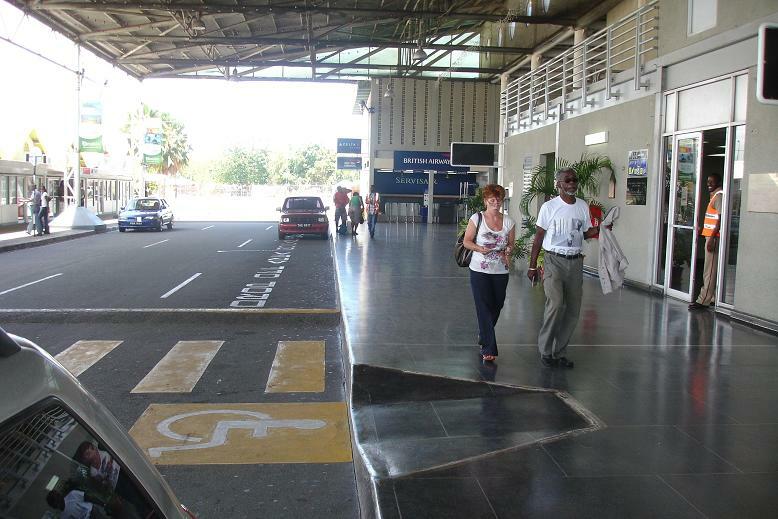 When Tobago is the first port of entry into Trinidad and Tobago, it is usually through Crown Point Airport. As the first point of entry into the country, there are immigration and custom requirements that need to be met. A passport is required for such entries and in most cases a visa. Check with your particular consulate to see what the requirements are for entry into Trinidad and Tobago. Crown Point Airport also has flights to and from Trinidad, its twin counterpart, all day long. Each flight is about 20 minutes. Travel between the two islands requires no documentation, except of course a plane ticket or if by boat, a ferry boat ticket. One of the sea ports, the major one, is in the capital, Scarborough. This Tobago port handles almost all water traffic entry into and departure from Tobago. Most of the international visitors who are processed at this Tobago port are from tourist ships. These ships are a common and frequent sight during the North American winter. Additionally, Scarborough port handles the bulk of the cargo traffic into Tobago. It is also the Tobago port of entry and departure for the inter-island ferry that plies daily between Scarborough, Tobago and Port Of Spain, Trinidad. The ferry mainly transports passengers and vehicles. The crossings between the two island ports take approximately 3 hours with the ferry. One Ferry leaves in the morning and another leaves in the evening. Similarly, one ferry arrives in the morning and another arrives in the evening. The other official sea port in Tobago is in Charlotteville. 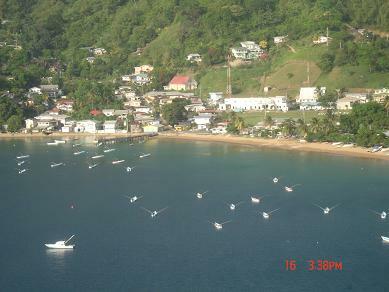 Charlotteville has a natural deep water harbor. However, it has no official docks. Although this is an official Tobago port, it is seldom used for international entry. It is so seldom used that there are no permanent immigration or custom offices in Charlotteville. On the odd occasions when a vessel makes Charlotteville its first port of call into Trinidad and Tobago, immigration and customs personnel have to be transported up there to process them.